Named after the father of the nation, Ismail Samani, the Tajikistani somoni is a relatively new currency on the market. The Tajikistani somoni was introduced in October 2000, replacing the Tajikistani ruble which had been in use for the previous five years (prior to which the Soviet/Russian ruble was still used despite the USSR’s collapse). The somoni was introduced at a rate of 1 somoni to 1000 rubles. 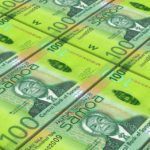 Banknotes came first while the country’s first coinage followed a year later, with some intended to replace existing banknotes. Over the last five years, the TJS has fallen against the USD. From a value of less than 5 TJS to 1 USD in 2013, it is now closer to 9:1. The current series of banknotes was introduced in 2000, though some notes (3, 200, 500 somoni) were not around until 2010. The path of the Tajik economy hasn’t always been easy since the fall of the Soviet Union. Cotton and aluminum are hugely important factors in generating foreign revenue, leaving the economy open to market factors. The country is also very dependent on foreign remittances from expatriates. While Tajikistan was experiencing growth prior to the Global Financial Crisis, the effects of the economic disaster were keenly felt here. In addition, more than 50% of the population lives below the poverty line. Finally, a large black market exists in Tajikistan. It is based around the drug trade with neighbouring Afghanistan. By some accounts, heroin trafficking here is equal to 30-50% of GDP. Despite a decently stable currency, economic issues such as pervasive poverty remain. Learn more about Tajikistan with our Profile and Travel Guide!